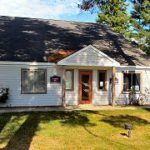 Commercial Real Estate Listings, NH & MA | Hirsch & Co.
Hirsch & Company, Inc, is a commercial real estate brokerage firm specializing in the sales and leasing of office and industrial space throughout New Hampshire and Northeastern Massachusetts. We have provided creative commercial real estate solutions for over 30 years, developing lasting relationships with clients through the effective management of all their commercial real estate needs. 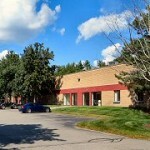 Larry Hirsch of Hirsch & Company represented the owners of the Patriots Building located at 127 – 139 Main Street, Nashua in the $1,375,000 sale of the building to a group of investors. We represent landlords in the sales/leasing of office, industrial and retail properties. From guidance in determining rental rates/sale prices, to creative marketing, we have the expertise to help you meet your goals. 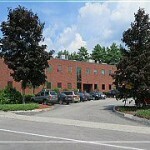 We also represent tenants/purchasers in their efforts to acquire office and industrial space. Our in-depth market surveys identify the properties that fit a client’s requirements. From assisting with site surveys to the development of specialized marketing programs, we offer a wide range of consulting services. Over the years, we have provided property management services to lenders, attorneys and trustees-in-bankruptcy, stabilizing physical/financial aspects of properties and putting into place appropriate reporting systems.